Should Your Law Firm Do an Ethics Audit? Client Relations. Does your firm have written engagement agreements, communication procedures, master-file lists, closing letters, and file-retention policies? Confidentiality. Does your firm have confidentiality policies, confidentiality training, and signed confidentiality agreements? Does your firm lock its offices, use secure passwords and use firewalls? Conflicts. Does your firm have a database of all clients, including the names of corporate-client officers and directors? Do your require potential clients to provide, or confirm in writing, the identities of all adverse parties? Docket and Calendaring. Does your firm have a master firm calendar with all deadlines? Does your firm back up its calendar and have electronic “ticklers” for deadlines? Records Management. Does your firm have standardized document naming conventions? Does your adequately firm back up its electronic data? Staff Management. Does your firm have a written policy manual? Does your firm conduct background checks on potential employees? Time, Billing and Finances. Do your firm members record time contemporaneously? Does your firm have adequate trust account protections, and does it reconcile the trust account periodically? Professionalism. Does your firm confirm that all lawyers are duly admitted, have paid bar dues, and are up to date with MCLE? 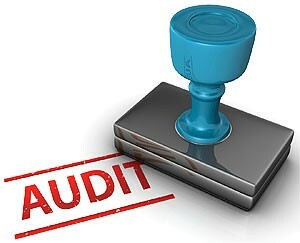 Louisiana supervisory lawyers and law firm partners should consider performing such a firm self audit. Louisiana Rule of Professional Conduct 5.1(a) requires a partner in a law firm to make reasonable efforts to ensure that other lawyers in the firm conform their conduct to the Louisiana Rules of Professional Conduct. See In re Trahant, 108 So. 3d 67, 75 (La. 2012) (disciplining lawyer for relinquishing legal responsibilities to employees resulting in fraudulent real estate transactions); In re Tolchinsky, 740 So. 2d 109 (La. 1999) (disbarring lawyer for failure to supervise subordinate lawyer and for subsequent failure to report that lawyer’s egregious ethical violations); see also Restatement (Third) of the Law Governing Lawyers § 11(1) (2000). Similarly, Rule 5.1(b) provides that a lawyer with “direct supervisory” authority over another lawyer must undertake such efforts. See, e.g., In re Comish, 889 So. 2d 236 (La. 2004) (disciplining lawyer for failure to supervise disbarred lawyer he hired as his legal assistant); In re Wilkinson, 805 So. 2d 142, 146-47 (La. 2002) (disciplining lawyer for failure to supervise new admittee’s handling of succession matter). This paragraph requires lawyers who are not “partners,” for example senior associates, to ensure that the lawyers whom they supervise comply with the rules. SeeLa. Rules of Prof’l Conduct Rule 5.1(b) (2004); see also Restatement (Third) of the Law Governing Lawyers § 11(2) (2000). What measures are “reasonable” under the circumstances turns on a number of factors, including, the size of the firm, the firm’s management structure, and the nature of the firm’s practice. See Model Rules of Prof’l Conduct Rule 5.1 cmt. 3 (2002). To comply with this rule, an ethics “self audit” is a good start. Furthermore, a partner or supervisory lawyer should consider establishing a committee to address and to resolve “ethical” issues. Moreover, the firm should implement policies to ensure that all of its lawyers: (1) have successfully completed a legal-ethics class in law school; (2) comply with mandatory continuing legal education requirements; (3) present complex ethics issues to firm management for resolution; (4) have knowledge of the availability of extra-firm resources, including the LSBA Ethics Advisory Service Committee, for issues relating to legal ethics; (5) have access to an adequate library of ethics-related materials; and, (6) are handling all matters competently and diligently, and are not perilously overburdened with work.